No natter how many fashion trends come and go, monochrome fashion is something that can never die! 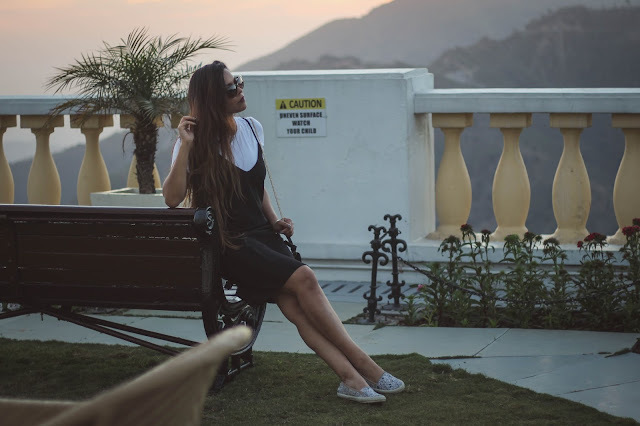 So for my Mussorie trip, I made sure to bring along black Femella slip dress which I worn over a white tee! I am loving how people are getting use to the idea of comfort fashion. Now Fashion truly has no boundaries. It's no more about matching-matching, one can rock any outfit with any accessory and a completely different footwear. One of the latest trends that I am living is wearing slip dress over a plain tee. Be it a lace slip dress or a plain one like mine, it looks super trendy while keeping one comfy. While I was in hills, I wanted to look my best but there was no way I was getting into my skinny dresses. This Femella slip dress and t-shirt combo came to my rescue. 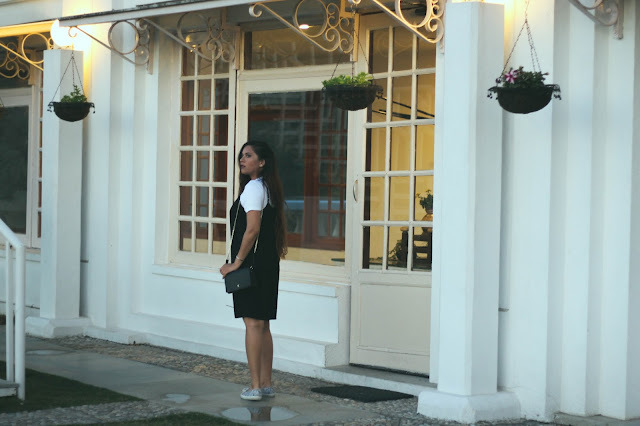 To keep the casual chic feel of the outfit intact, paired my slip dress- tee combo with and I was ready to life my Mussorie life. 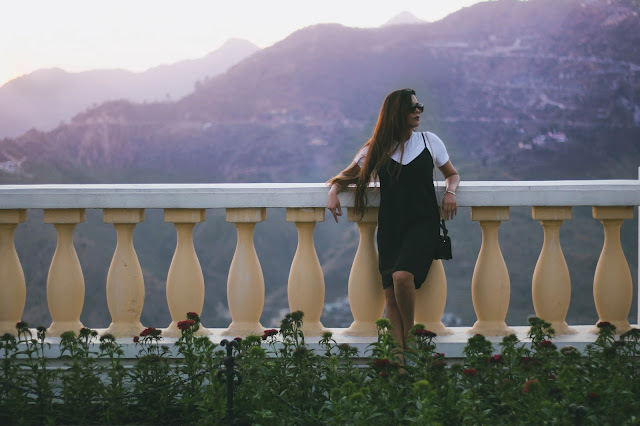 PS- Mussorie travel diary vlog coming soon! This is a lovely ad decent look! happy weekend and happy Easter!! Looks perfect on you. You're right about monochrome.